An energy-thrifty electric vehicle conversion is the perfect collaboration. Think hard about whether you have the time, energy, space, and — especially — the money to complete your project. An effective conversion can cost from $12,000 to $18,000, depending on the power and driving range you anticipate. Do you have the mechanical expertise, tools, equipment, guidance, and friends to help where needed? Do you have access to a makerspace where you can learn to machine or weld the various brackets and widgets that are inevitably required? The best conversions are small, lightweight, older cars that you can buy on the cheap. (Look for something with a blown engine, since you’ll be ditching it anyway.) It should have good working brakes and an intact electrical/computer system, essential for air bags, etc. A manual transmission makes by far the easiest conversion. Also, plan to beef up the suspension — even though you will be removing the engine, exhaust train, and fuel system, the battery pack and other components will add weight. 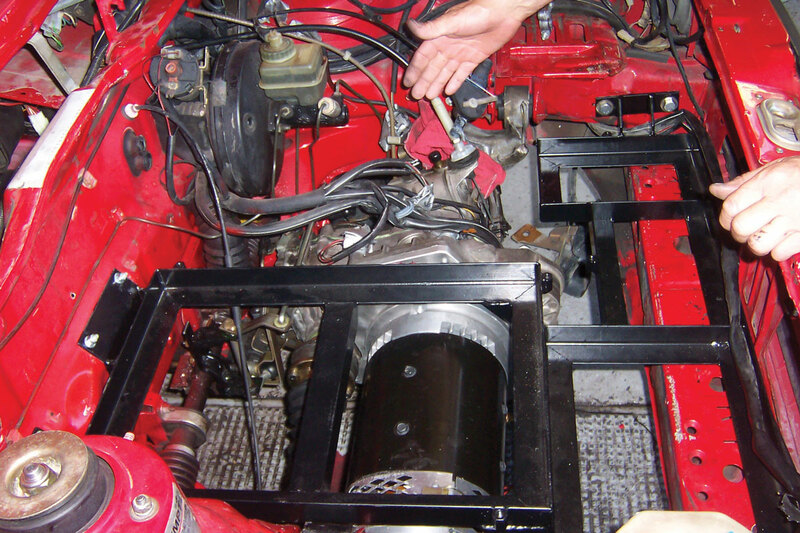 Power brakes and power steering are highly desirable but can be retrofit with aftermarket kits. The batteries … lead or lithium? Even lithium batteries are still heavy enough to require secure restraints in case of accidental collision. 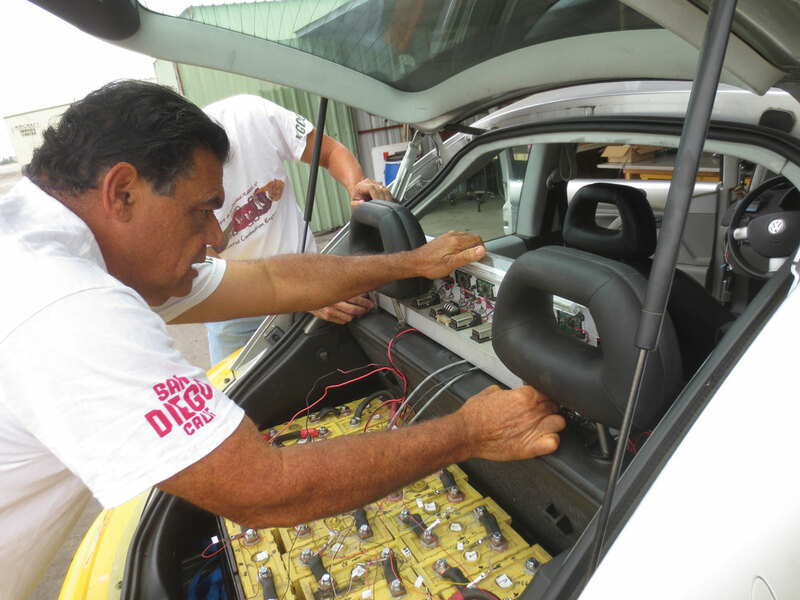 ideally, all batteries should be contained in a welded steel box that’s secured to the car’s frame, and clamped down tightly to prevent movement. Heavier flooded lead-acid batteries pose the additional hazards of spillage and production of potentially flammable gases during charging, so a battery box should be designed with a tight lid that allows venting. Batteries are DC, so 9- to 11-inch DC motors have traditionally been used. AC motors, however, are growing in popularity; they offer some size advantages but are more electronically complex. Both require a carefully machined adapter plate to couple them to the clutch and transmission. If you have access to a CNC lathe, you can find specs for a variety of transmissions online. You will have to adapt the old engine mounts to support the heavy new motor. These are the costliest items in any conversion. Motor speed is controlled electronically using MOSFETs to supply pulse-width modulation of battery current at a constant voltage. Pack voltages of 140V–300V are common, and motors may draw up to 1,000A, so considerable heat can be generated in the electronics. Modern controllers are water-cooled, and many can be programmed for peak performance and safety through a CAN bus. Note: The controller must match the voltage supplied by the propulsion pack, so decisions about motor, controller, and batteries must be made together. A battery charger is typically mounted onboard to allow recharging of the propulsion pack at any location with 110V or 220V AC power, such as your garage or an EV charging kiosk. A good charger will be programmable or preprogrammed to accommodate the specific battery chemistry (lead-acid or lithium) in your pack. EVs lack an alternator to charge the 12V battery that powers the low-voltage control system, monitoring gauges, computer, headlights, radio, and wipers when the car is running. The alternator is replaced by an electronic switching power supply that converts the 100+V from the battery pack into 12V–14V to supply the voltage and current draw demanded by these systems, as well as to recharge the auxiliary battery. 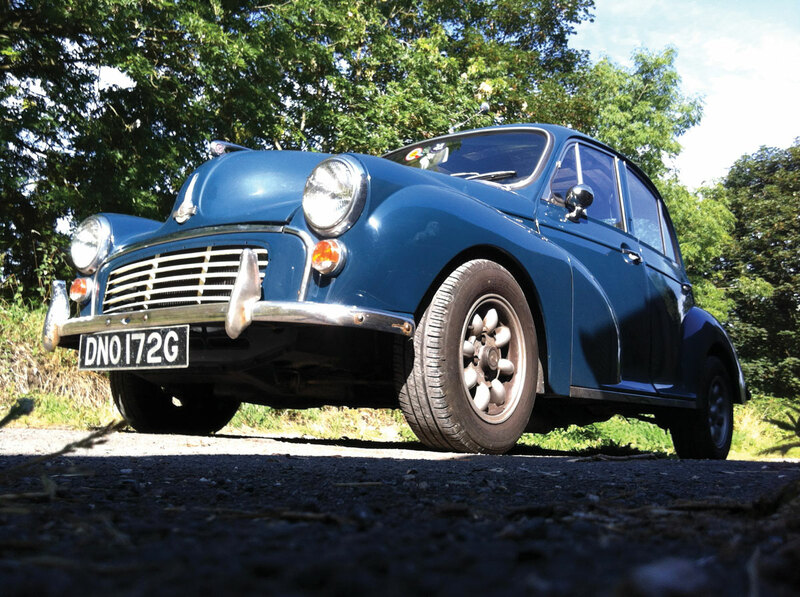 The results of an EV conversion can be highly satisfying, especially if you’ve been able to turn a scrap car into something cool. Compared to the average internal-combustion engine, all-electric drives are smooth, quiet, and energy-efficient. All of us in the Kick Gas Club feel the heightened satisfaction of using these sophisticated technologies in a very fundamental way — where the rubber meets the road. A native of Michigan, Jack has a Ph.D. in biochemistry and did research at UC San Diego for 25 years. He managed corporate research in health sciences for many years before retiring in San Diego, where he spends his time working to improve air quality and to master EV technology.